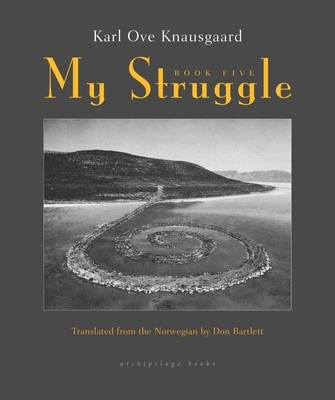 The fifth book of Knausgaard's powerful My Struggle series is written with tremendous force and sincerity. As a nineteen-year-old, Karl Ove moves to Bergen and invests all of himself in his writing. But his efforts get the opposite effect - he wants it so much that he gets writer's block. At the same time, he sees his friends, one-by-one, publish their debuts. He suspects that he will never get anything published. Book Five is also a book about strong new friendships and a shattering love affair. Then one day Karl Ove reaches two crucial points in his life: his father dies, and shortly thereafter, he completes his first novel. Karl Ove Knausgaard was born in Norway in 1968. His debut novel Out of This World won the Norwegian Critics Prize and his A Time for Everything was a finalist for the Nordic Council Prize. My Struggle: Book One was a New Yorker Book of the Year and Book Two was listed among the Wall Street Journal's 2013 Books of the Year. In 2014, Book Three was named a New York Times Notable Book of the Year. My Struggle is a New York Times Best Seller and has been translated into more than fifteen languages. Knausgaard lives in Sweden with his wife and four children. Don Bartlett has translated novels by many Danish and Norwegian authors, among them Jo Nesbø, Roy Jacobsen, Lars Saabye Christensen, and Per Petterson. He lives with his family in Norfolk, England.